What would you create if you were free from your compulsion to compare? Have you ever done this? You’re going about your work – the work you love, your creative, meaningful, life-on-purpose work – and then suddenly, you catch yourself comparing it. Comparing yourself. Stars. Gurus. Experts. Models of success and perfection. And suddenly, you stop what you’re doing, worried that you’ll never stack up. Sleazebags. Fearmongers. Hyped-up, self-styled gurus and trashy, one-size-fits-all over-simplifiers. And suddenly, you stop what you’re doing, worried that you’ll veer unintentionally into that loathsome territory. Comparing isn’t the problem, per se. (Yes…we just said that. Read on.) There’s actually nothing wrong with admiring and appreciating others, except when it leads us to forget that we are creative, successful and complete in our own right. There’s nothing wrong with healthy and thoughtful critique, except when it leads us to place constraints on ourselves (and others) that hold us back from living a full, free, and kind life. 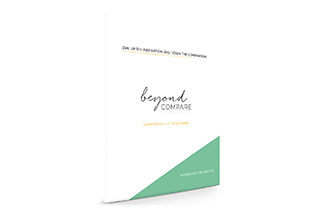 Beyond Compare is a self-study program for people who want to quit comparing themselves to other people and feeling like someone – whether it’s you or the other person – is coming up short. You’ll reclaim the incredible creative power that gets lost when you fall into the habits of hero-worship or envy, disdain or harsh judgment. Your relationships – with your professional community, your family, and your friends – will transform in a big way, because you’ll stop projecting your fears all over those unsuspecting people and start seeing them as they really are: human, flawed, and unique. And there’s one more critically important piece: If you’ve felt the effects of others comparing to you – whether they’ve put you on a pedestal, or tried to crush you under their heel – then this program is for you, too. There’s a whole section on how to protect yourself when you’re on the receiving end of unhealthy comparison. …then the Beyond Compare program is absolutely for you. When I stop comparing, I can make room to experience my own sovereignty and finally get past the “ceiling” that I’ve unknowingly created for myself. This powerful course teaches what we know we’re supposed to do about comparison, but don’t follow through on. Beyond Compare breaks the standard ‘stop comparing’ advice down into accessible and achievable practices to build confidence and skills. Ready to move beyond compare? So, how is comparison compulsion holding you back? Passing up opportunities, or holding yourself back, for fear of being the target of other people’s projections and criticism. These habits have an impact, whether we’re looking up to someone as a model of achievement or perfection, or looking down on them as a failure or cautionary tale. It’s the distance we put between ourselves and others that’s the culprit: the stories we tell ourselves about what their successes (or flaws) mean, and what that means for our own journeys. Beyond Compare ushers you onto sacred ground, to be sure; maybe even where angels fear to tread. This program will guide you into a transparent and transformed way of being. With Tanya and Lauren by your side you can have complete faith that you will be strengthened, supported, and powerfully changed. Ready to free yourself from comparison? Locate the source of your impulse to compare and defer to your peers and heroes – and learn to use those energies with more clarity of intention. Find ways to transform your impulse to compare into healthier, more generous, and joyful expressions. Liberate yourself from the habit of projecting your desires and fears onto others. Dissolve your fears about stepping into your greatness and having others’ projections foisted onto you. Become your own ultimate authority. Regain a ton of time and energy. Follow your unique path (rather than someone else’s). Stay focused on your good work. Which means? You are free to focus on what you want. Like, in your wildest dreams. Free yourself from the stronghold of comparison. Your best work awaits. I am stunned by how (1) easy (2) clean (3) thorough (4) beautiful and (5) did I mention easy? this program, purchase & download process was. I am just so impressed by the richness, depth, intellectual rigor, deep and broad wisdom, vulnerability, heart-full-ness, beauty, loveliness and value (monetary and otherwise) here. I also think it’s kind of, well, ironic and humorous. Because while you may not realize it just yet, I think you have just set the bar way higher for your colleagues in these kinds of offerings. So, they will probably be, ahem, comparing themselves to you. 7 program sessions on understanding why you compare and rewriting your scripts. Engaging, interactive exercises in a beautiful, editable, and printable book. Come closer. These videos are intimate, thoughtful, and made with love. Two per session, plus one to welcome you in. Plus transcripts for all videos. Interviews with Amy Palko, Sarah Bray, Ronna Detrick, Paul Jarvis and Julie Daley. 8 meditations from our friends at Buddhify, to help you practice kindness to self and others. A special guide to setting up a partnership or group. Want to do Beyond Compare in a group? This workbook includes a sample welcome letter, group agreements, guidelines to consider, and questions designed to lead your group discussions. We’re leadership coaches so the whole “be the change” thing means a great deal to us. And we’re fed up with the reality of comparison’s grip on so many of us… so we decided to transform it. We’re fed up with witnessing the very personal attacks being levelled at women* who strive for success–our peers, colleagues, friends, clients… ourselves. We’re fed up with the incredible backlash we see whenever one of us dares to rise up and sing her own tune–unique and human. We’re fed up with watching others dim their light for fear of retaliation. We’re fed up with watching brilliant people defer their authority to others who appear shinier, brighter, wiser. We’re fed up with the reality and ready to change it. So we’ve designed an antidote to the underlying disease: unconscious comparison, and the disconnection that feeds it. It’s a deep, transformative, and powerful digital program called Beyond Compare. * Not only women, of course – but especially women. Tanya is a certified Life and Business Coach (CPCC, ACC) with a penchant for clarity. She’s coached hundreds of people who were ready to step into the starring roles of their lives. She wrote The Joy Pages, created Board of Your Life and the Step into Your Starring Role program, is a blogger for the wildly popular The Daily Love, has served as contributor and was featured in Canadian Living, and is an in-demand speaker who talks with great passion on all things joy, meaning, and purpose (just try to stop her). She recently spoke about the Impostor Complex at TEDxWomen. 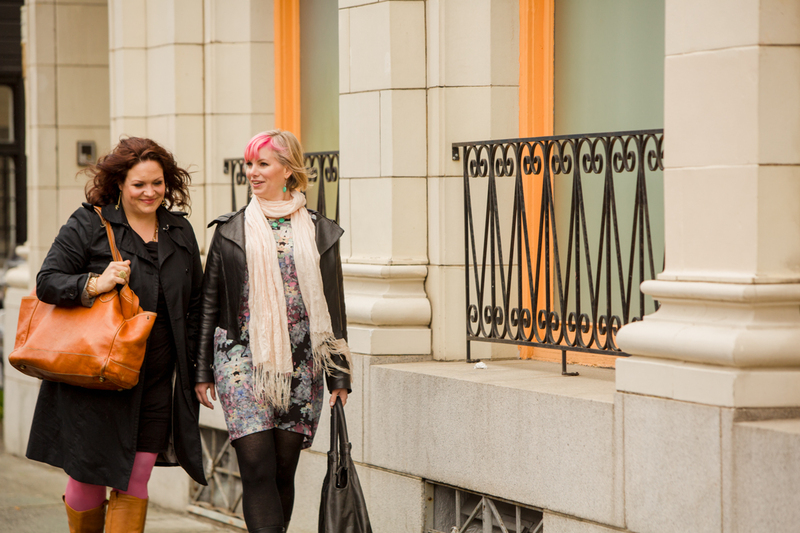 Lauren is on a mission to help business leaders become more joyful and generous. A seasoned entrepreneur, published author, and business and leadership coach, Lauren coaches startups, entrepreneurs, and leaders of all stripes. Her writing on business, technology, and leadership has been featured in The Atlantic, 99U, Women 2.0, Quartz, The Huffington Post, and Fast Company – and her bestselling first book, The Boss of You: Everything a Woman Needs to Know to Start, Run, and Maintain Her Business, got props from both Bust Magazine and The Financial Post. Lauren’s e-book, Curious for a Living: How Asking Better Questions Makes You Indispensable, launched in November 2013. I can’t imagine more trustworthy guides for this healing exploration than Tanya and Lauren. They bring together intelligence, intuition and integrity so naturally that you will find yourself resting in their wisdom, leaping from their insights and energized by their passion. What technology do I need to access the course content? That’s it! There’s no software to install or anything. It’s all quite simple. Your timing will vary, but we originally conceived Beyond Compare as an 8-week program; there’s about 2-3 hours per week of content and exercises if you choose to do everything, but if that feels like more than you can commit to, we encourage you to move through at your own pace and to choose the exercises that call to you most strongly. Why does the program include a workbook for groups? Can I do it alone? Absolutely – Beyond Compare is designed to be totally self-contained. But we know many of you prefer to work in partnerships and groups, so we’ve included The Workbook for Groups, which includes guidance on how to set up a partnership or group – including a sample welcome message, agreements, and guidelines – as well as questions you can use in your group discussions. Sort of like a book club guide, but more robust. We believe that doing this work with a partner or group will enrich the experience for many people – after all, this is a program about transforming your relationships with others as well as with yourself – and that’s why we’ve included The Workbook for Groups as part of the package. I’d like to do this with someone else but I’m not sure who to ask. This can be vulnerable stuff, for sure, but in our experience, anyone else who wants to shift their relationship with comparison – and who’s willing to commit to your ‘book club’ – can be a good fit. Remember: they’re here to work on their stuff, not to judge you on yours – and working on comparison with a partner is a fast-track to self-awareness and mutual support. One place to look for a partner is in the Beyond Compare Facebook group. No, but if you’re unhappy with the program, we will happily grant you permission to pass your copy along to someone else who might enjoy it. What happened to the group version of the program you were offering before? We received a lot of feedback from people who were having trouble choosing between the two versions of the program, so we decided to bundle them together into a single version. Now, everyone who buys the program receives the Workbook for Groups, so you will be well supported in forming a partnership or group if that works best for you. What kind of support can I expect while doing the program? This will vary depending on whether you choose to work on your own or with a group, of course, but whichever option you choose, you can expect to receive regular email nudges from us with tips and encouragement (and you can set the pacing for these to suit your timing). And the Facebook group is always there for sharing your insights, asking questions, and practicing a new way of being with yourself and others. We (Tanya & Lauren) will be active in the Facebook group as well, so you’re welcome to ask us questions there. If you have technical questions, of course, we will do our best to help with those, too. 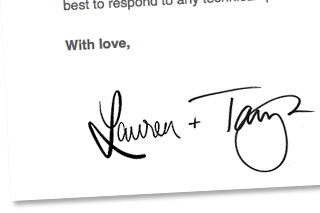 Email our tech maven Arwyn at arwyn [at] tanyageisler [dot] com and she’ll get back to you as quickly as possible. This program really illustrated the depth of comparison and all the forms it takes. You’ve done an outstanding job of breaking it down into both the inflation and deflation aspects of ego. What I know to be possible Beyond Compare is the pure expression of this soul coming through me… as well as a genuine joy in watching others shine and express their gifts in the world. Beyond compare I can live knowing that each of us has a unique expression in the world and the expression of this uniqueness is necessary for each of us to be awake to our wholeness. It is wholeness that will create a more just, peaceful, and loving world. Free yourself from comparison, claim your authority and succeed on your own terms. Take the sting out of comparison with a free 5-Day Beyond Compare Intro Course. No spam, promise – and you can unsubscribe anytime.